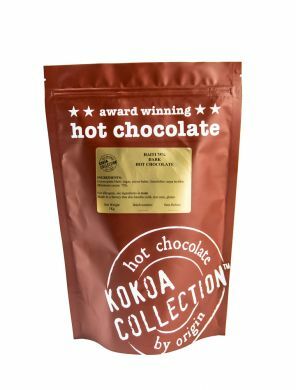 Trade packet of Kokoa Collection Special Edition 75% Haiti hot chocolate. Sourced directly from the Cooperative Dame Marie on the Westernmost point of Haiti. It has a really lovely rich flavour, reminiscent of roasted hazelnuts and red plums and makes a perfect velvety hot chocolate! Special Edition 75% Haiti hot chocolate with 75% cocoa. Intense flavour roasted hazelnuts and red fruits without the sweetness so commonly found in hot chocolates. A real grown up hot chocolate! Haiti is a tropical paradise that has been plundered and abused by successive imperial powers. When finally the brave Haitian people deposed of the American supported dictator Baby Doc Duvalier and elected former Catholic priest, Jean-Bertrand Aristide with 92% of the vote the CIA paid for a coup and US Marines literally kidnapping him and took him to exile in Africa. A shocking example of the terror that America commits around the world. Haiti was then punished with a series of natural disasters that further enslaved the population under the continuing American/United Nations occupation. Resealable bag of 1kg of tablets. Prepared on the steam wand of a traditional coffee machine or in the cup with hot water and steamed milk. Tablets ensure accurate portion control. 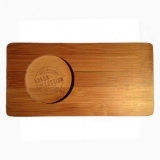 Range of display and presentation tools. Pauls video below shows how easy it is to make hot chocolate using his tablets. Approx 120 tablets per bag. Approx 40 x 8oz servings. Cocoa paste Haiti, sugar, cocoa butter, emulsifier: soya lecithin, min. cocoa content 75%.